Below you fill find all funeral homes and cemeteries in or near Blue Hill. Zip codes in the city: 04614. Some of the notable people born here have been: (brian d. rogers), and (mary ellen chase). Blue Hill is a town in Hancock County, Maine, United States. The population was 2,686 at the 2010 census. 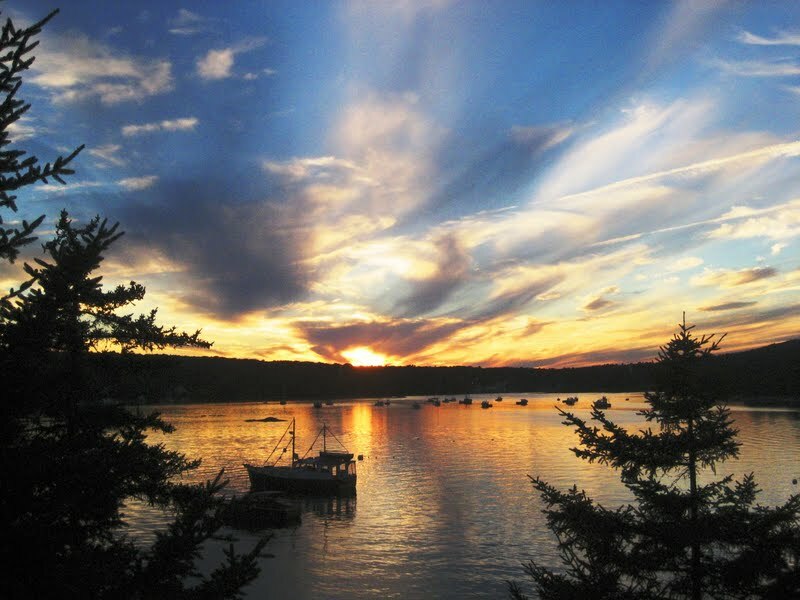 It is home to Blue Hill Memorial Hospital, George Stevens Academy, the Blue Hill Harbor School, New Surry Theatre, Kneisel Hall, Bagaduce Music Lending Library, the Kollegewidgwok Yacht Club and the Blue Hill Country Club. A community on Blue Hill Bay, the town is the site of the annual Blue Hill Fair. It was written by Hartford Courant on December 13th, 2018 that Robert Grindle perished in East Hartford, Connecticut. Grindle was 75 years old and was born in Blue Hill, ME. Send flowers to express your sympathy and honor Robert's life. It was disclosed on May 3rd, 2017 that Barabara Meredith Sorlien (Beasley) died in Blue Hill, Maine. Send flowers to express your sympathy and honor Barabara Meredith's life. It was reported on February 7th, 2015 that Karen Louise Fields (Benson) perished in Blue Hill, Maine. Send flowers to share your condolences and honor Karen Louise's life. It was disclosed by Salem Evening News on August 15th, 2013 that Donald E Wood perished in South Hamilton, Massachusetts. Wood was 81 years old and was born in Blue Hill, ME. Send flowers to express your sorrow and honor Donald E's life. It was disclosed by Salem Evening News on July 29th, 2013 that Rebekah Jean Duerr passed away in Haverhill, Massachusetts. Duerr was 30 years old and was born in Blue Hill, ME. Send flowers to express your sympathy and honor Rebekah Jean's life. It was written by Machias Valley News Observer on May 15th, 2013 that Constance "Connie" Cox (Wallace) died in Blue Hill, Maine. Ms. Cox was 77 years old. Send flowers to express your sympathy and honor Constance "Connie"'s life. It was reported by Norwich Bulletin on May 14th, 2013 that Carolyn O "Kay" Kennedy (Olds) died in New London, Connecticut. Ms. Kennedy was 94 years old and was born in Blue Hill, ME. Send flowers to share your condolences and honor Carolyn O "Kay"'s life. It was reported by Abilene Reporter-News on March 26th, 2013 that Minot Sherman Piper passed on in Brownwood, Texas. Piper was 82 years old and was born in Blue Hill, ME. Send flowers to share your condolences and honor Minot Sherman's life. It was revealed on March 8th, 2013 that Barbara Caren miss McCourtney passed away in Blue Hill, Maine. McCourtney was 65 years old and was born in St Louis, MO. Send flowers to share your condolences and honor Barbara Caren miss's life. It was revealed on September 2nd, 2012 that Ritva Langlois passed away in Blue Hill, Maine. Send flowers to express your sympathy and honor Ritva's life. A community on Blue Hill Bay, the town is the site of the annual Blue Hill Fair. It was one of 6 townships granted by the Massachusetts General Court to David Marsh and 351 others for their service in the French and Indian War. Called Plantation Number 5, it was first settled in 1762 by Captain Joseph Wood and John Roundy from Andover, Massachusetts, who built homes on Mill Island at the tidal falls. It is home to Blue Hill Memorial Hospital, George Stevens Academy, the now-closed Liberty School School, New Surry Theatre, Kneisel Hall, Bagaduce Music Lending Library, the Kollegewidgwok Yacht Club and the Blue Hill Country Club. By 1859, 5,000 cord (volume) of firewood were sent from the port annually. The town was also noted for the quality of its granite, some of which was used to build the Brooklyn Bridge and New York Stock Exchange building. The official website for the city of Blue Hill is http://www.bluehillme.govoffice2.com/. Both are among the four-member Blue Dog Leadership Team. Sorry, make that the two-member BDLT, since the other two, Baron Hill of Indiana and Stephanie ... t irretrievably lost Middle America? They Gave Me a Hurt. I Have the Hurt to This Day. Clinton Hill-based college of art and design Pratt ... After sitting in the funeral thinking of the boys struggles, Golub started training. "He helps me when I run," says Golub. "I can see his face smiling when he says, 'Keep going. The finest roses, gifts and Mother's Day flowers delivered fresh. Serving Blue Hill, Maine, surrounding suburbs and the entire country. We work with local florists and flower shops to offer same day delivery. You will find budget sympathy flowers in Blue Hill here. Our funeral flowers are cheap in price but not in value.